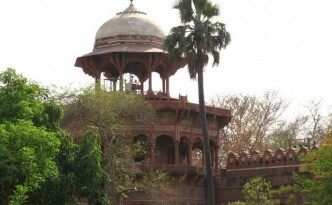 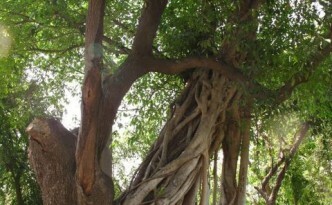 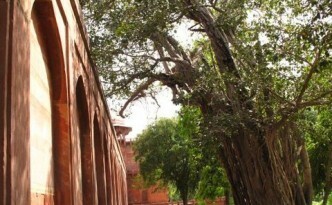 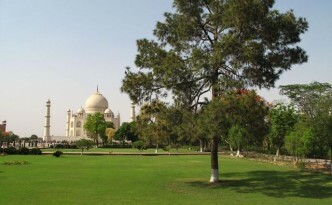 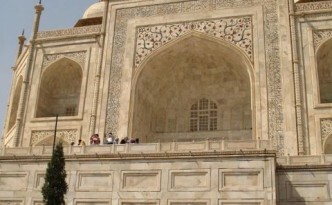 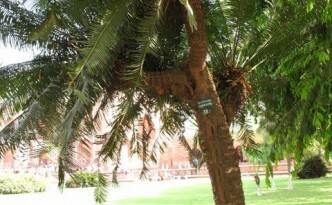 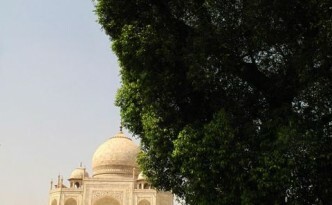 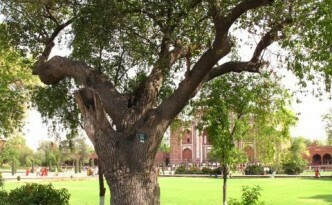 A banyan tree grows on the right side of the Taj Mahal gardens. 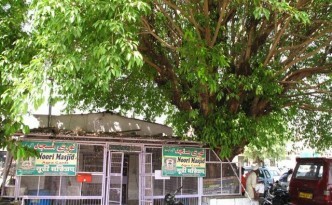 A small mosque at the Agra Cantonment Rail Station is shadowed by a ficus tree. 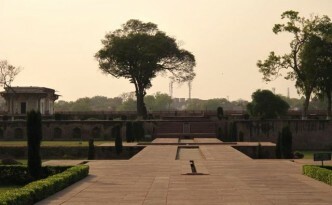 The last of the line of often-photographed cypress trees growing before the Taj Mahal has actually just been replaced with a very young sapling.